This boat is called 'Blaze of Glory' and was built by James Dilworth. I just learnt that James Dilworth is a friend of Tim Anderson. Apparently this boat was given away for free recently. I also learnt recently that the boat is 24ft long. 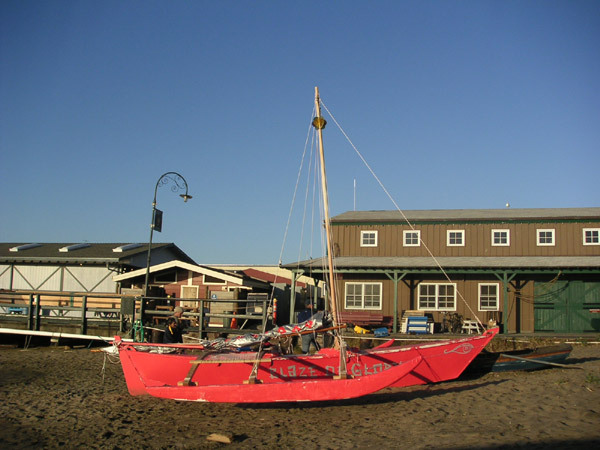 This is a simple dory styled trimaran that was built it a weekend by a team of people as part of a tv documentary. I think they did a very, very good job, pretty impressive. I would now describe the hullshape as a flatner type as opposed to dory. 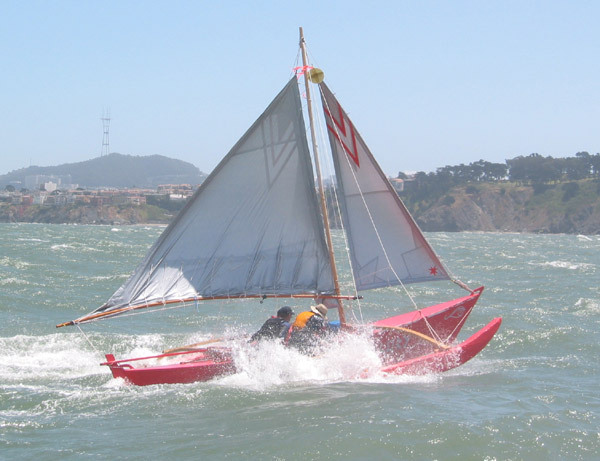 I first came aware of this boat via a post in the yahoo group multihull_boat_builder. From a technical point of view I guess if the main hull was a little deeper and narrower that would increase the boats strength and improve it's speed, but I think I am getting a little picky. Notice the low volume outriggers. 200% volume outriggers are nice, but for a micro-cruiser which is to be conservatively sailed and with a small low sail plan, the advantages in lower weights and lower stresses would seem to outweigh larger outriggers found on conventional trimarans. 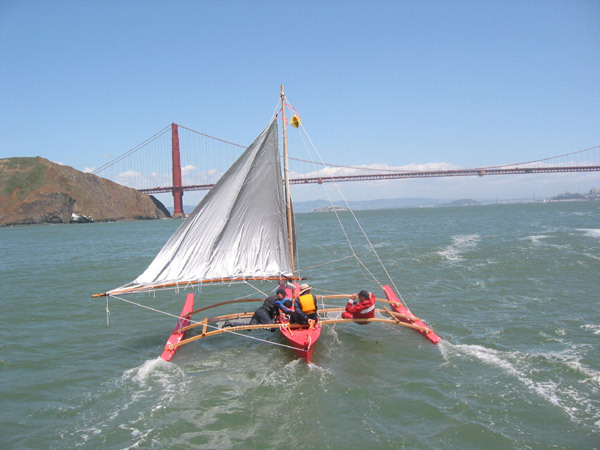 This is in my view the main distinction between a double outrigger canoe and a conventional trimaran. 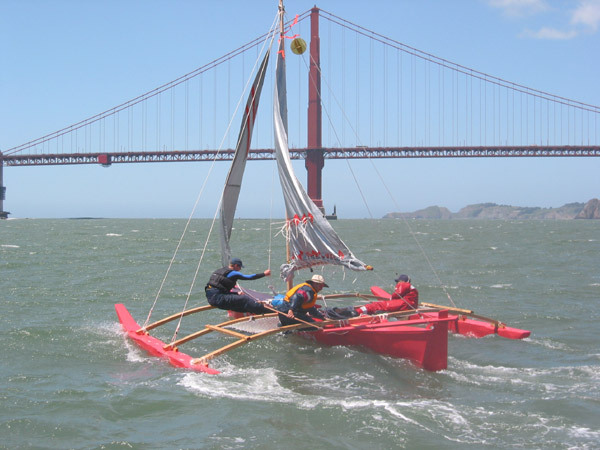 Low volume outriggers are not new, please refer to the 'Banka' outrigger of the Philippines and Indonesia.